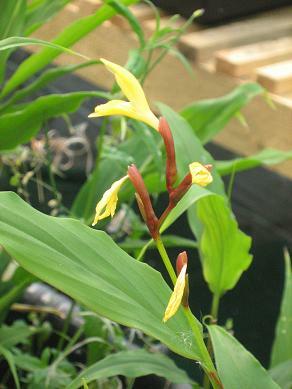 Cautleya gracilis has from two to ten flowers on the scape. 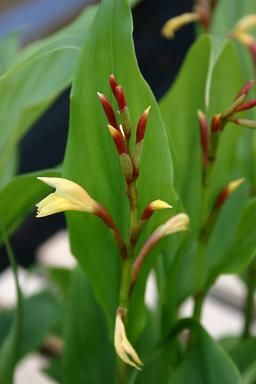 The epithet 'gracilis' means thin or slender, and describes the flower spike well. 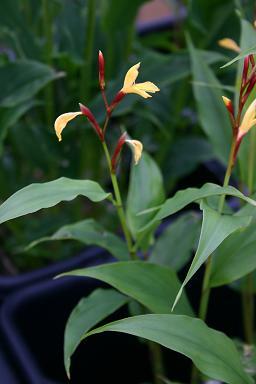 It tends to droop, the central axis is quite thin, and the flowers are widely spaced. 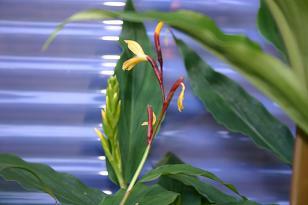 It creates a distinctive appearance. 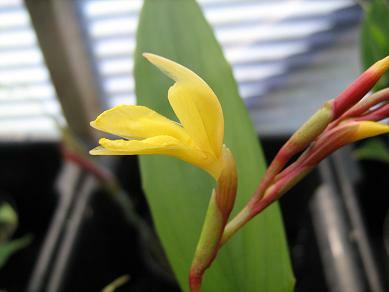 Cautleya cathcartii seems to have flowers in a distinctive compact head, though I am still trying to obtain more forms of both species to check this out.The flower spike of C.cathcartii 'Lemon' is visible in the background. This is the first flowering of some seedlings raised from the original plant, just to see if they were variable - and they aren't!